The next part of my journey took me on U.S. Route 2 which has been dubbed as the Great Northern. It was named in memory of the pioneer railroad that parallels the western half of the route. It start in Everett, Washington and cross into Canada at the Michigan border. Then it cross back into the U.S. in Vermont and end in Bangor, Maine. Once again, I did not do the entire route due to a personal reason when it meets up with the Canadian border. So below are the list of my six favorite places of the western half of U.S. Route 2. Going to the Sun Road – It is the only road that crosses Glacier National Park in Montana and going over the Continental Divide at Logan Pass. The two lane road is quite narrow and winding, especially west of Logan Pass. I camped nearby and decided to head up quite early. Even early in the morning was full of traffic and after talking to some of the local on the other side, they suggested that I should have done it in the early evening when everyone is heading out for dinner. So here is my recommendation and maybe do the tour buses instead of driving so you can take pictures. There were not many pull off stops to get off the bike to take the pictures. Kootenai Falls – Kootenai Falls is the largest undammed falls in the state. The hike offers an unforgettable and breathtaking view of the Kootenai River. 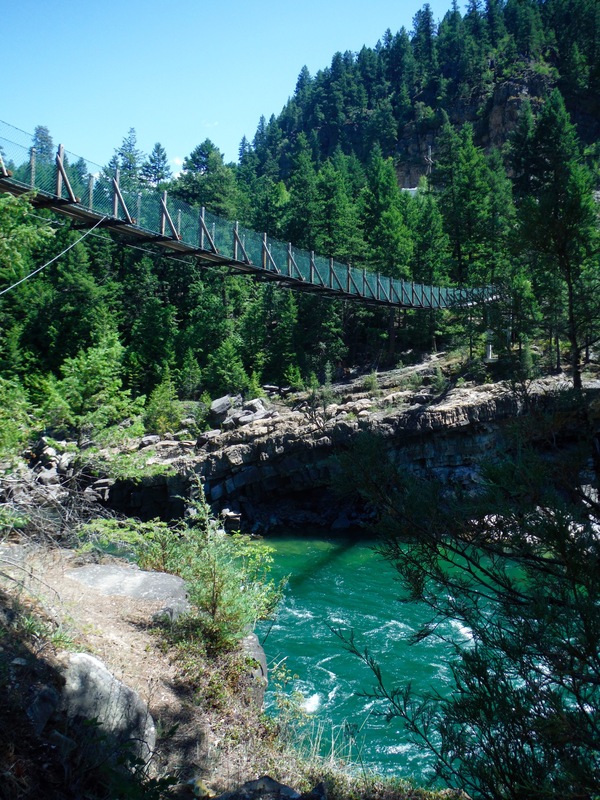 Also at the falls is a swinging bridge that provides access to the opposite side of the Kootenai River. This area has been known as a sacred site to the Kootenai tribe. They view it as the center of the world, a place where tribal members can commune with the spiritual forces that give direction to the tribe and to individual members. Old Forts Trail – I only visited a couple of these forts (Fort Assinniboine and Fort Benton are located in the Russell Country Region of Montana) at the end of the trail. I wished I knew about it sooner and would have traveled the same route that were traversed over 100 years ago by wagon by the U.S. Cavalry. 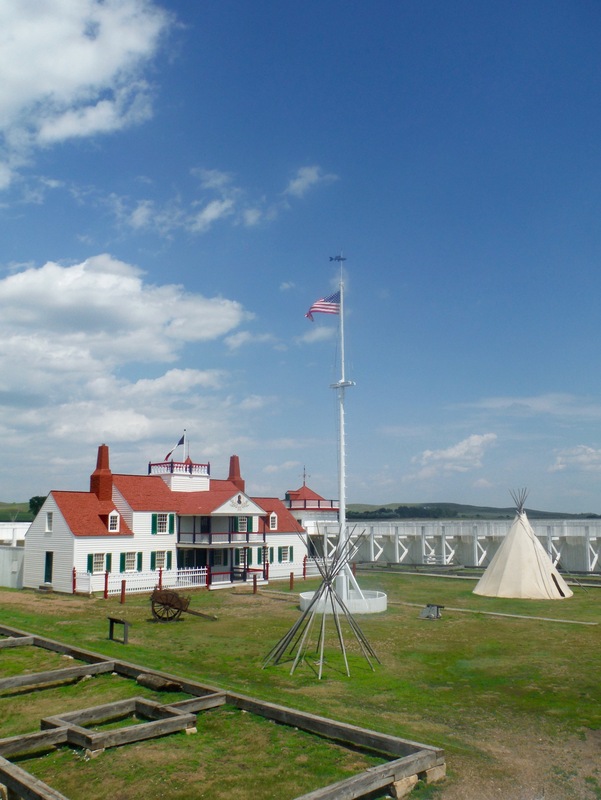 In addition the previous two forts, I visited several others in North Dakota as well. Some were elaborate and other you could only envision what it might have looked like back in the day. Charles Lindberg’s childhood home – The home tour was simple but it was the story of Charles Lindberg that fascinated me the most. His bedroom was a screened-in porch which he slept in all year around. Something that Russ would have done since he loved sleeping outside in our yard all the time. Also, Charles was quite the innovator in anything mechanical such as a water heater and incubator for the chickens. 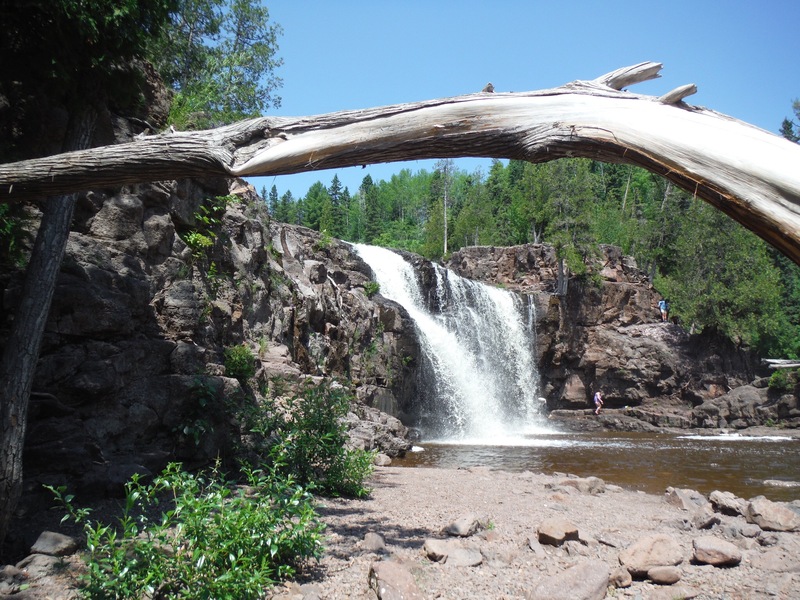 Gooseberry Falls State Park – This state park is in Minnesota on the north shore of Lake Superior. It is known for its spectacular waterfalls and river gorge. It has three falls fittingly called Upper, Middle and Lower Falls. Another beautiful hike to visit the falls, a day ride off the U.S. Route 2. 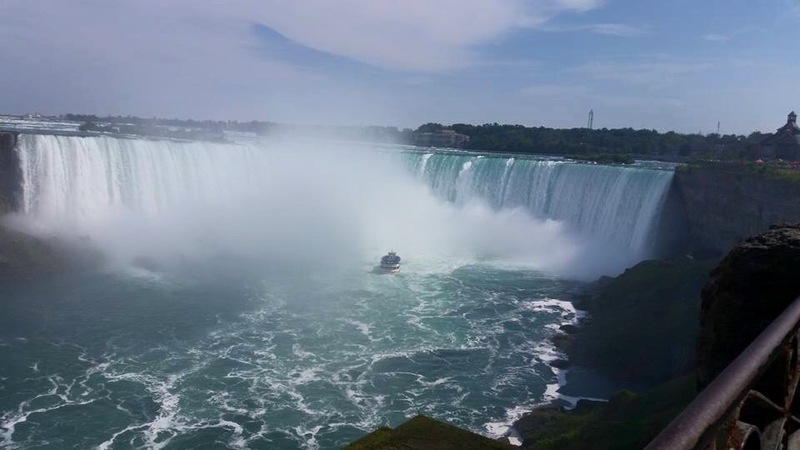 Niagara Falls – The world-famous set of three large waterfalls on the Niagara River. Both the American and Horseshoe falls can be best seen from the Canadian side of the river (which I highly recommend to see it from the Canadian side). The natural spectacle attracts millions of tourists yearly so it can be a bit hectic trying to visit but it is sure worth it. Many have told me to bypass the North Dakota section and head south to the South Dakota since there were not much to see. I’m glad that I stuck to my guns and got to enjoy seeing some of the forts. I only wished that I planned it better to visit all of them. This brings up many possibilities for road trips in North America that could be based on themes. I also noticed that I not a tree person so I don’t care for traveling in forest but rather be riding out in the open plains such as North Dakota. I guess everyone has their own preference of where to travel and what to see. You’re welcome Ara…looking forward to hearing about places that you have been to. Never be ashamed…many people don’t know about the places on the off beaten road. Hope you get the chance to visit it…it’s quite beautiful! Visited the very complex and very numerous falls over numerous shale, rocks and boulders known as Kootenai Falls the very next day after your blog, twas a nice afternoon break for me, from The Build 🙂 Thx for motivating me Gina! I’m glad that you got to take a break and enjoy the beauty of the Kootenai Falls! Yes it does…yes it does. I’m so enjoying your journey! Continued safe travels! Thank you Sally…hope all is well with you. That airplane looks like something Russ would find at a yard sale, swap it for ten bucks and a set of used brake shoes, then park it in his barn and spend three years “modifying” it into a dune buggy. 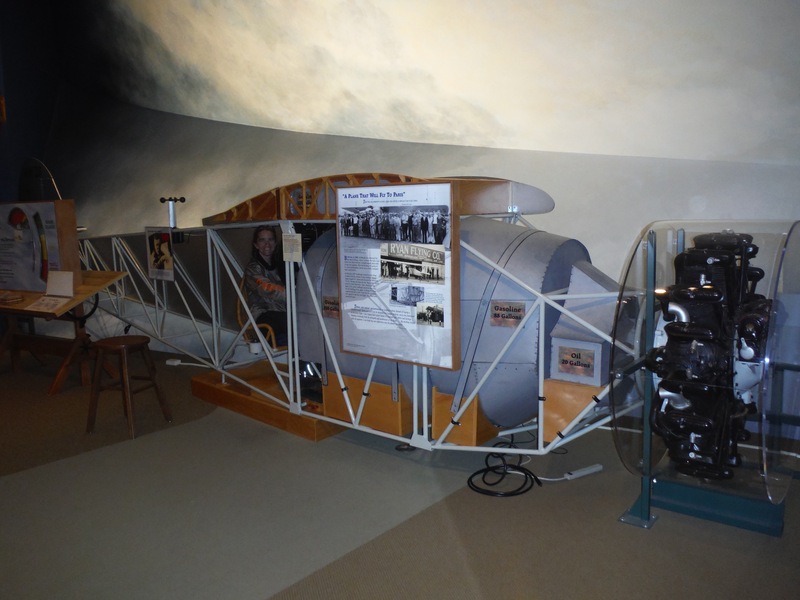 Hearing Charles Lindbergh childhood stories reminded so much of what Russ would’ve done as a kid. I’m going to have to buy his autobiography to hear more of it. One thing I learned that LIfe is Too Short….If you truly desired to do it, then you will find a way. There is never a right time to do it so my philosophy is just do it whether it is a bunch of mini trips or one long one. 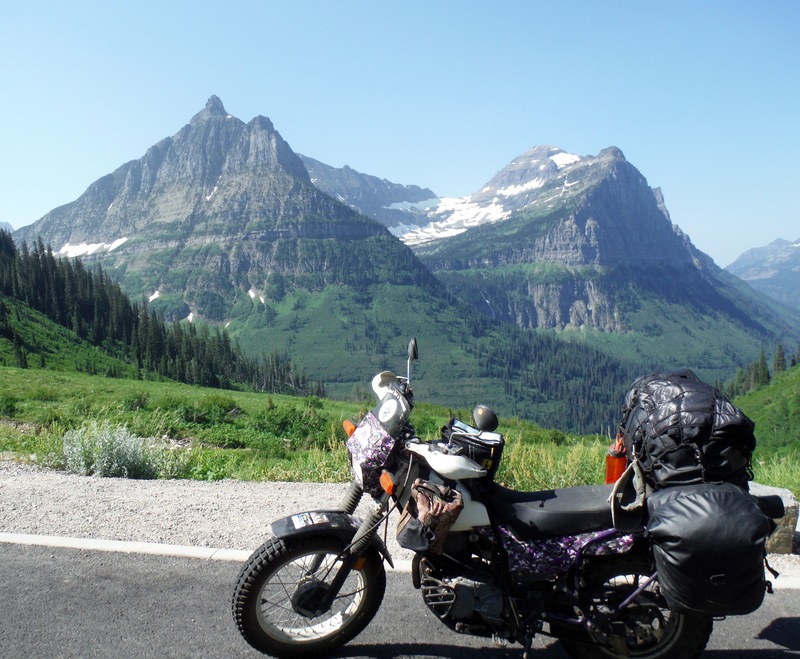 Great set of pics Gina….I’ve ridden the Going to the Sun road and its magnificent in spots. Thank you Dom…next time will take the dinner time ride so it will be less crowded.